We are able to support 39 YuShe High School students this year with $5000 of your generous donation. Here are some of the students' photos and information. Xiaojing Shi is a 10th grader born in 1995. She lives with her uncle, untie, their two kids since she was a baby. Her untie lost her job, and her uncle is cleaner. She is outstanding in school.She has been spsonsored by an anonynous donor since 2011 . Yanting Zhang is a 10th grader born in 1995. Her mother is very sick and has gone to another province to get treatment. She is excellent in school. She is sponsored by Zhaohui Wu & Yuhong Yang. Chaohui Zhang is a 1oth grader born in 1995. 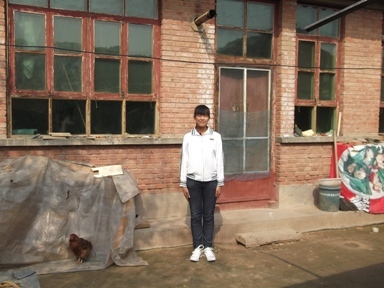 She lives with her parents and two siblings, all in school. Her father is handicaped (leg) due to car accident. Her mom has a surgery. She is excellent in school. She is sponsored by Chi Li and HuihuaYan. Weiting Xiao is a 10th grader born in 1995. 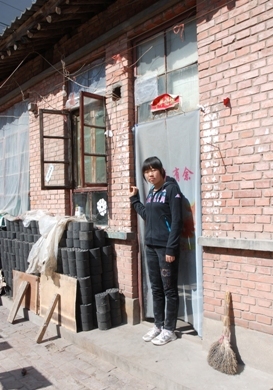 Her father does odd jobs to support the family of 4, and has back problem. Her mother does not work. She is excellent in school. She is sponsored by Ning Jiang.